In an age full to bursting point with up-and-coming indie rock bands, it’s becoming harder and harder to find a debut album that doesn’t conform to the conventions of traditional indie music, and that doesn’t end up sounding repetitive, or to be quite honest, boring. However, South London four-piece INHEAVEN, who release their self-titled studio album via PIAS Records next Friday (September 1), bring something a bit different to the table in the form of their first significant musical contribution. Opening with Kim Wilde-esque “Baby’s Alright”, the track feels very much like a nod to both classic rock and 80’s pop music with its downplayed vocals and old school drums. “Treats”, the most powerful track on the album and a previously released single, is accompanied by a Carrie inspired music video, and consists of bold guitar riffs, a strong female voice, and an empowering message, which is reinforced by vocalist Chloe Little’s tone as she sings the lyrics, “I want someone to treat me right”. However, a change in tone is noticeable with tracks such as “Stupid Things” and “All There Is”. Ditching the angst-y guitar, these tunes exude a different vibe, and there’s a certain soppy-ness to lyrics such as “I don’t want to grow up // I just want to be with you” that contrasts those of other songs on the album. “Real Love” and “Bitter Town” once again hark back to the 80’s, with built up synth and epic choruses, and are reminiscent of music from the final scenes of films such as Say Anything and The Breakfast Club. With the album drawing to a close, “Regeneration” muses on the youth of today. Portraying a kind of restlessness, lyrics “I’m bored of my generation // This is my generation” suggest a reluctance to grow up, whilst chilled out “Velvet” signals a calming end to the record. 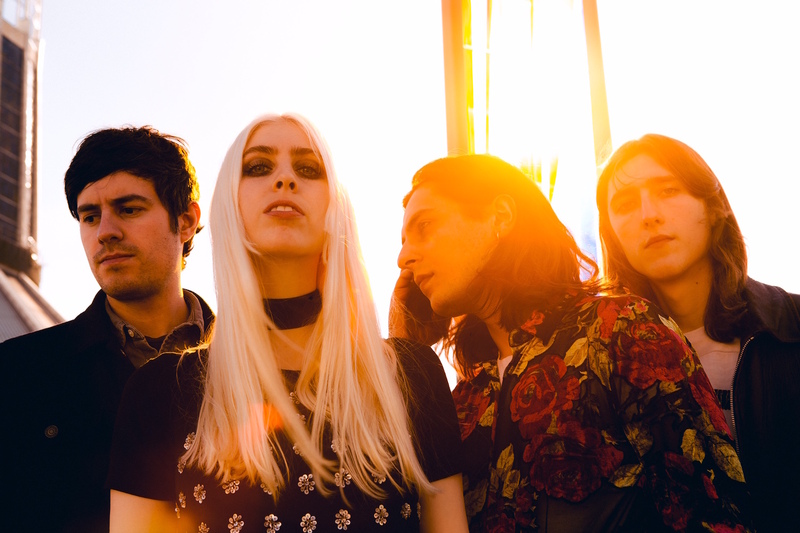 INHEAVEN’s debut album is far from predictable. Mixing tracks dripping with their trademark indie rock sound with more sensitive, reminiscent songs, the record twists and turns on an emotional journey that has, overall, turned out sounding pretty great. INHEAVEN’s self titled debut is out this Friday, September 1st via PIAS Recordings and is available to pre-order now.